Powerscourt National School are celebrating 200 years. 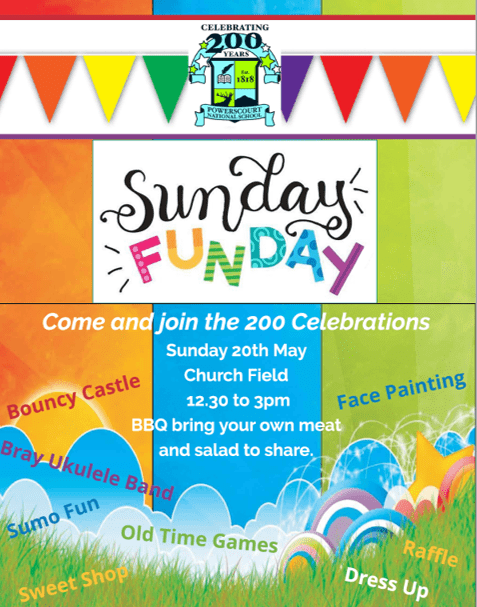 Sunday 20th, 12pm – 3pm, Church Field, Cookstown Road. 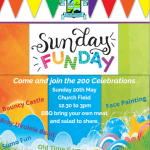 A family fun day is being held on Sunday 20th of May in the field opposite the School. A free event, Bring your friends and family just for fun, a picnic, games and more and a bouncy castle (min charge to cover costs). We would love you to join in the action.